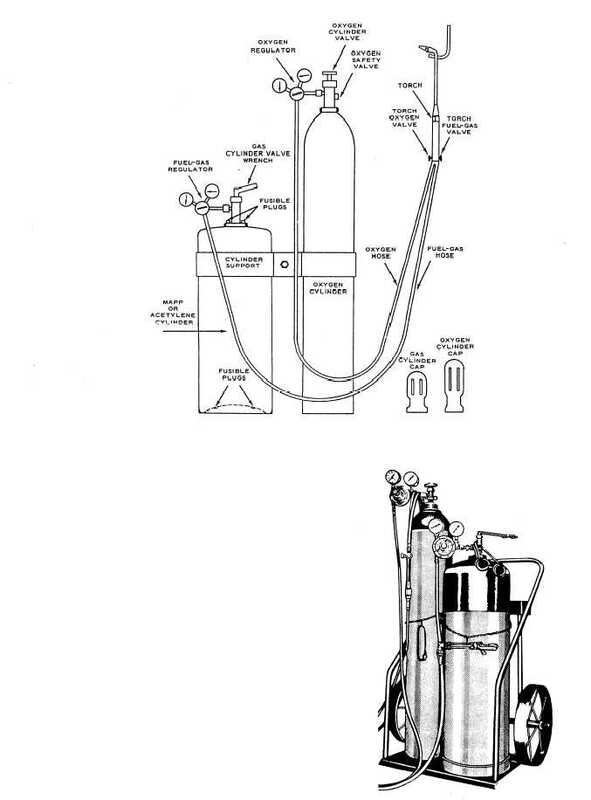 Figure 5-1.An oxygas welding outfit. Home > Construction Training Manuals > Steelworker Volume 01 > Figure 5-1.An Oxygas Welding Outfit. Figure 5-1.-An oxygas welding outfit. The low-pressure torch is also known as an injector torch. The fuel-gas pressure is 1 psi (pound per square inch) or less. The oxygen pressure ranges between 10 to 40 pounds, depending on the size of the torch tip. A jet of relatively high-pressure oxygen produces the suction necessary to draw the fuel gas into the mixing head. The welding tips may or may not have separate injectors in the tip. Atypical mixing head for the low-pressure (or injector) torch is shown in figure 5-3. Medium-pressure torches are often called balanced- pressure or equal-pressure torches because the fuel gas and the oxygen pressure are kept equal. Operating pres- sures vary, depending on the type of tip used. If acetylene is used as the fuel gas, the pressure must never be allowed to exceed 15 psi because acetylene becomes very dangerous at 15 psi and self-explosive at 29.4 psi.